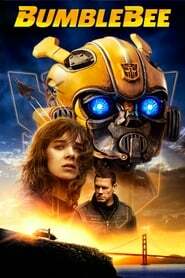 Bumblebee (2018) Sinopsis Bumblebee (2018) On the run in the year 1987, Bumblebee finds refuge in a junkyard in a small Californian beach town. Charlie, on the cusp of turning 18 and trying to find her place in the world, discovers Bumblebee, battle-scarred and broken. When Charlie revives him, she quickly learns this is no ordinary yellow VW bug. Nanny Surveillance Following a break-in, Scott and Mara decide to install a deluxe home security system and give their new nanny all of the pass codes. With the codes, the nanny torments the couple by controlling the smart home’s system from her laptop. Taxi 5 A police officer who’s transfered in the police of Marseille gets assigned to take down a group of Italian robbers who drive the powerfull Ferrari’s with the older niece of Daniel, a terrible driver who gets the legendary white taxi. The Kissing Booth A high school student is forced to confront her secret crush at a kissing booth. Red Sparrow Ballerina Dominika Egorova is recruited to 'Sparrow School,' a Russian intelligence service where she is forced to use her body as a weapon. Her first mission, targeting a C.I.A. agent, threatens to unravel the security of both nations. Hens Night Every woman gets one last night to go a little wild. Surrounded by her best friends, Jess sets out to have the most memorable bachelorette party ever. But a few unexpected surprises turn her last day of freedom into something terrifying. Hichki Hichki presents a positive and inspiring story about a woman who turns her biggest weakness into her biggest strength. Operation Red Sea PLA Navy Marine Corps launch a hostage rescue operation in Ihwea and undergo a fierce battle with rebellions and terrorism. Fishbowl California A man struggling to find purpose in life is enlightened by a drunk ailing widow. Gonjiam: Haunted Asylum The crew of a horror web series travels to an abandoned asylum for a live broadcast. It soon encounters much more than expected as it moves deeper inside the nightmarish old building. Pari Pari is a supernatural horror film in which a man attempts to help a woman named Ruksana, an abuse victim, who he found chained up in a hut. The Vanished The body of Yoon Seol Hee disappears at the National Institute of Scientific Investigation. Detective Woo Joong Shik seeks clues on her disappearance, while her husband Park Jin Han claims she is alive. The Con Is On In an effort to avoid paying off a massive gambling debt to a notorious mobster in England, a couple flees to Los Angeles and hatch a jewel theft plot. Hell’s Kitty Hell’s Kitty is a comedy horror series based on the true life events of Nick, a Hollywood writer, and Angel, his possessed and very possessive pussycat. Maya the Bee: The Honey Games When an overenthusiastic Maya accidentally embarrasses the Empress of Buzztropolis, she is forced to unite with a team of misfit bugs and compete in the Honey Games for a chance to save her hive.